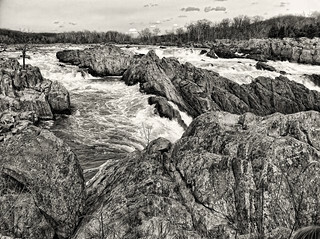 This is Great Falls National Park outside Washington DC. Topaz filters applied. You can see the top of Taryn's head in the lower right corner.